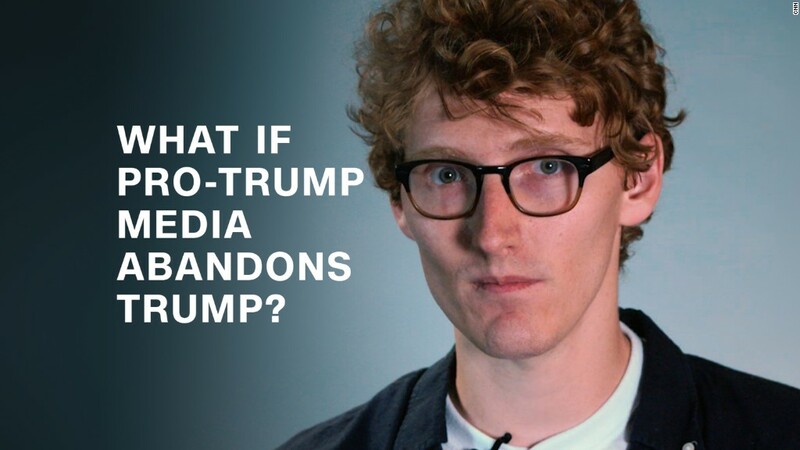 What if the pro-Trump media abandons Trump? Breitbart had been almost unfailingly supportive of President Trump, first during his campaign and then during his presidency. But following the White House's ouster of Steve Bannon, the former head of the right-wing website, Breitbart appears to be getting ready for a fight with the Trump team. Bannon, his allies and the site's staffers have not been subtle about what is likely to happen now. Joel Pollak, a senior editor-at-large at Breitbart, tweeted "#WAR," a reference to the site's early days and the mission statement of its founder, Andrew Breitbart. A person who recently spoke with Bannon told CNNMoney that the now-former White House chief strategist will not stay quiet on the sidelines. "It will be Bannon the barbarian," the person said. "He's not going to go out peacefully." Following news of Bannon's exit, Breitbart started to prepare stories critical of people in the Trump White House, a person at the website told CNN. It's most likely the site will not -- for now at least -- directly attack the President, but will focus its fire on people in Trump's circle who had clashed with Bannon, or who are viewed as Democrats or "globalists." A senior administration official told CNNMoney that Bannon will indeed fight for nationalism and populism on the from outside the White House. "He can be helpful to POTUS on the outside. Others may need to duck," the person said. One Breitbart headline drew a comparison between Trump and Arnold Schwarzenegger, the former California governor, who is not viewed positively among the conservative base. "With Steve Bannon gone, Donald Trump risks becoming Arnold Schwarzenegger 2.0," the Breitbart headline declared. Ben Shapiro, a former editor at Breitbart who has been critical of Bannon and the website since he left, wrote in a column, "Bannon is deeply vengeful, and supremely ambitious. He has already held the most powerful job he will ever have -- unless, of course, his new job is to destroy Trump from the outside." In messages from the company's internal Slack channels obtained by CNNMoney, Breitbart Editor-in-Chief Alex Marlow instructed his staff to also "round up hysterical reactions and gloating" by the mainstream media and Hollywood. Matthew Boyle, the website's Washington editor, who has been close with Bannon, was told to "start putting together a narrative story." There has been speculation that Bannon will return to Breitbart after parting ways with the White House. But Marlow told his staff he was in the dark on that particular matter. "I'm not sure exactly when he's out officially or if he's coming back," Marlow wrote. The mood inside Breitbart is mixed. One person familiar with the matter told CNNMoney that there is a contingent of Breitbart staffers which desperately wants Bannon to return. Speaking on MSNBC, Pollak said Bannon was a "fantastic leader" and added that "it would be a privilege to work with him again." But others hope Bannon doesn't come back, a separate person said, citing the brash and bombastic manner in which he worked with employees. Marlow also tried to get a handle on the website's public relations. He gave Breitbart employees a "friendly reminder" that "tweeting tends to do more harm than good." A spokesman for Breitbart declined to comment. -- CNNMoney's Dylan Byers contributed reporting.